Android App Permissions: How to Control Them Manually? You are here: Home / Android / Android App Permissions: How to Control Them Manually? Android phones are most commonly used nowadays, and Google’s Android has the largest mobile OS market share. Since you landed here, you too would be using an android phone. Right? But can you tell me how secure is it? 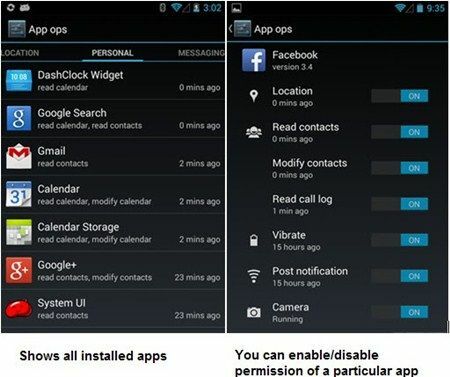 Hope you’ve seen, read or heard about Android App Permissions. Technically speaking, Android is a Linux distribution. Every application on it has its set of permissions. Similarly, each app has user accounts and permissions. Regardless of which version of Android you’re using, every time you install an Android app (basically .apk file), Google Play Store displays which android app permissions it needs. When an android developer builds up an app, he embeds some android app permissions requests for its functionality. Coming to the core part of our post – Does Android app permission or requests it asks for really required? It can sometimes happen; the app may be requesting for permission that isn’t required. For example, it seems natural if Whatsapp (or any Instant Messaging Application) asks permission to access Wifi or Cellular data. But, What if? A dictionary app, requires permissions to modify or abort outgoing calls or any game requests to read SMS messages. Wouldn’t that feel strange? But, Malicious apps often target stealing device and phone info, make phone calls, track your actual location, read your browsing history, SMS, photos, and share this information without your knowledge. 3.Read Network State: allows to check for cellular network connections within your phone, including Wi-Fi. 5. Read Phone State and Identity: access to information such as your phone number, IMEI number, and other identifying information. 6. Send SMS Messages: permits apps to send text messages. Must Read – What Do Your Smartphones Need That They Don’t Already Have? So how can you safeguard yourself from such stuff? You cannot control the Android App Permissions required but with the application (that is listed below) you can surely review if an app requires what its asking for. F-Secure Android App Permissions is a free Android app, which in itself requires zero permissions; that offers you really easy and useful view of all of your installed apps. It easily identifies unwanted apps that may threaten your private information and helps you uninstall them. > Requires zero permission, which means that it is the most privacy-friendly app you can find! > Checks for apps that will threaten your privacy and notifies you throughout about installation and updates. > Multiple filters that build it simple for you to look apps supported their permissions. > Comprehensive info concerning your apps: package, disk space, installation date, source, etc. > Easily uninstalls and rates any app. > Compare the list of permissions for an app to its key features. There must always be a logical connection between them. As an example, if an app is meant to send messages, then it naturally needs messaging-related permissions. > Uninstall any apps that will threaten your privacy if you do not use them often. If you are curious to know all the Android App Permissions that exist, then click here. Now we have something more serious for you. 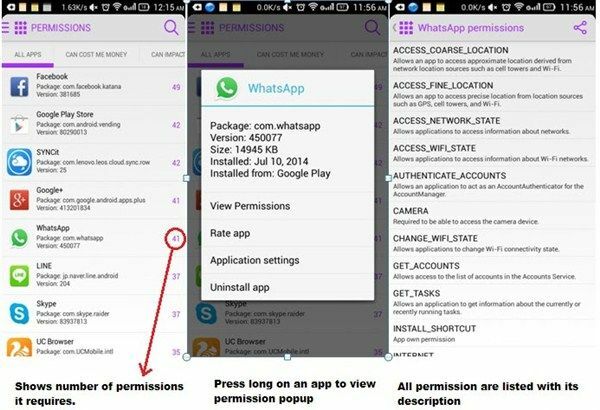 You saw how F-secure Android App Permissions can help you understand permission an app requires, and uninstall if it’s dangerous. But, would it be great if you could disable an app’s certain permission rather than uninstalling an entire application? Yeah! You read it right! 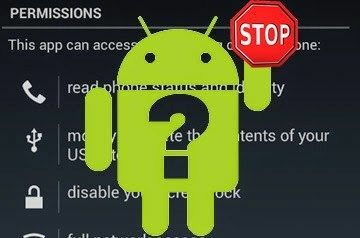 Android developers embed a hidden feature called “App Ops” in Android 4.3 which can let you selectively disable some permission for your apps. Since that feature isn’t meant for the common users, some android developers came up with a couple of apps that use this hidden feature for achieving the purpose. Permission Manager – App Ops both perform your need. You can install it from Google Play Store, provided it should be Android 4.3 or higher. For Android 4.4.2, the device needs to be rooted first. Do take care when you mess with this, else you might run into problems because you are messing with settings the app developer never intended for you to have control over. Download Links – F-Secure Android App Permissions, Permission Manager – App Ops. This awesome article is written by Security Enthusiast Justin Philips who writes awesome stuff at AllTechDay. If you appreciate what he’s written, Connect with him here. It’s really useful information to Android Users to manage their Android Smartphones. Thanks for the comment Kathula! Appreciate it!